Bay Area Intactivists will represent MGMbill.org in the 2011 San Francisco Pride Parade, to be held on Sunday, June 26th in San Francisco. 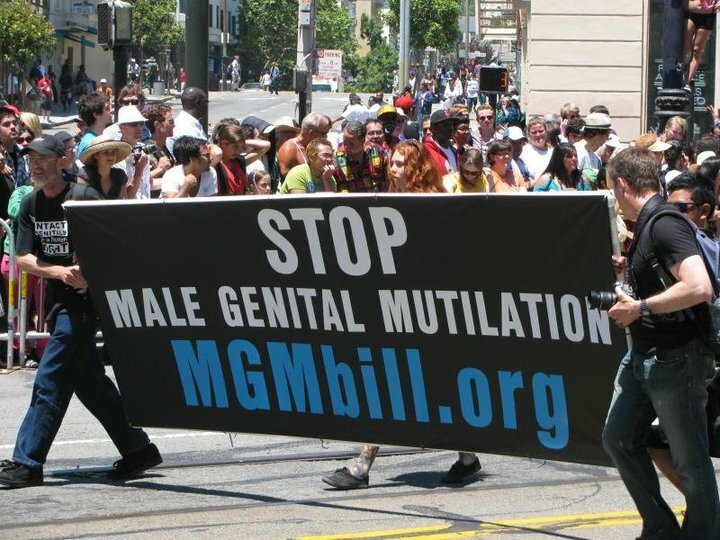 The Pride parade is an ideal venue for educating people about the struggle for male genital integrity rights because this parade celebrates the struggle for sexual rights. Over one million people attend Pride festivities and some of the region's most visible business interests participate. Bay Area Intactivists have participated in the parade since 2004 and we have always found that our message has been welcome. Please consider marching with us in the 2011 San Francisco Pride Parade or just being there to show your support. UPDATE: March with us! Our contingent position is 172. We will assemble at 9:30 AM on block "K" which is on Beale Street between Mission and Howard. The parade kick-off is at 10:30 AM.